West African Examination Council (WAEC) has awarded 18-year-old Miss Isabelle Gelegu from Esan North LGA of Delta State of Oritamefa Baptist Model School, Ibadan, the 1st prize National Distinction/Merit Award 2017. The apex examination council also awarded two other girls, Miss Favour Ngozi Etuonuma of Eucharistic Heart of Jesus Model College, Ilorin, Kwara State as well as Miss Adenike Temitope Adedara of Louisville Girls High School, Ijebun-Itele Ogun State, the 2nd and 3rd prizes of the same National Distinction Merit Award. The award ceremony was one of the highlights of the WAEC 56th Annual General Meeting of the Nigeria National Committee (NNC) 3-day meeting in Calabar. 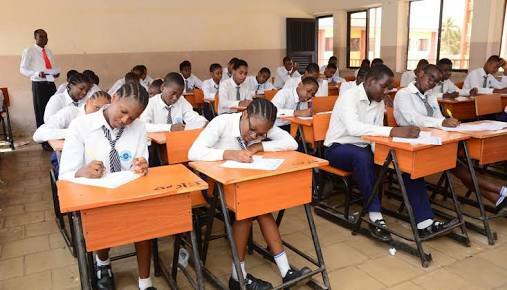 Chairman of the NNC, Dr Lami Amodu who presented the various awards alongside other dignitaries, said the awards was a result intense scrutiny by WAEC officials. The council also awarded three secondary schools in the State awards for being adjudged the best administered in the year 2017. The three schools also jointly won a prize of $5000 from the Endowment Fund Book for the aggregate results in to WASSCE for school candidates in 2017. The schools are Assurance community secondary school Ovubra in Obubra LGA (1st), Hillcrest College Calabar, 2nd (private) and Federal Science College Ogoja, in that order. They went home with prizes, including trophies.